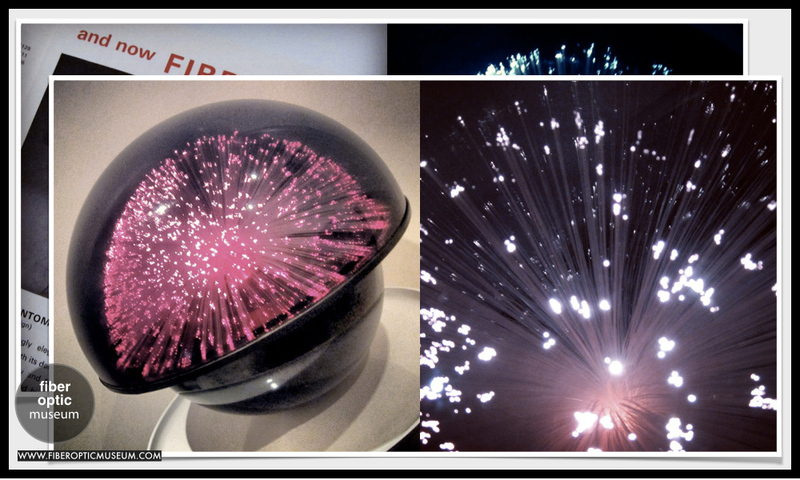 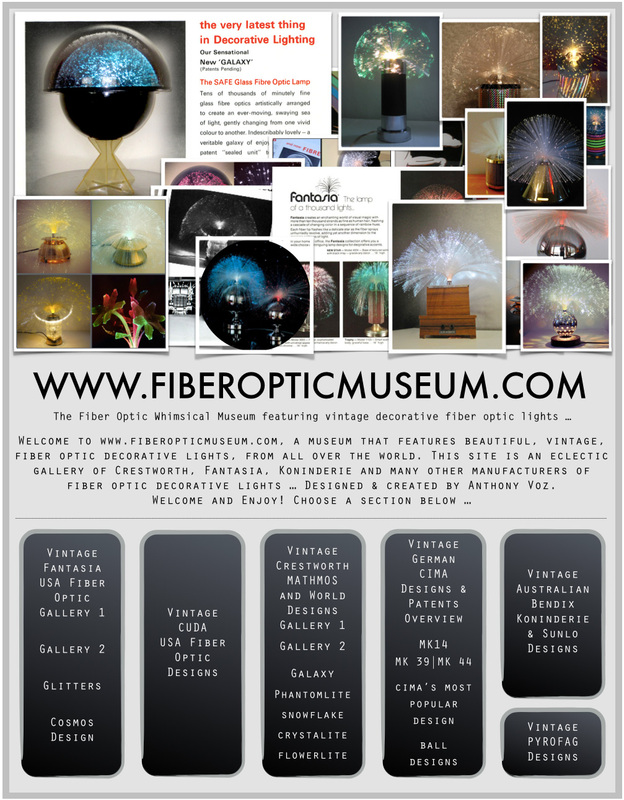 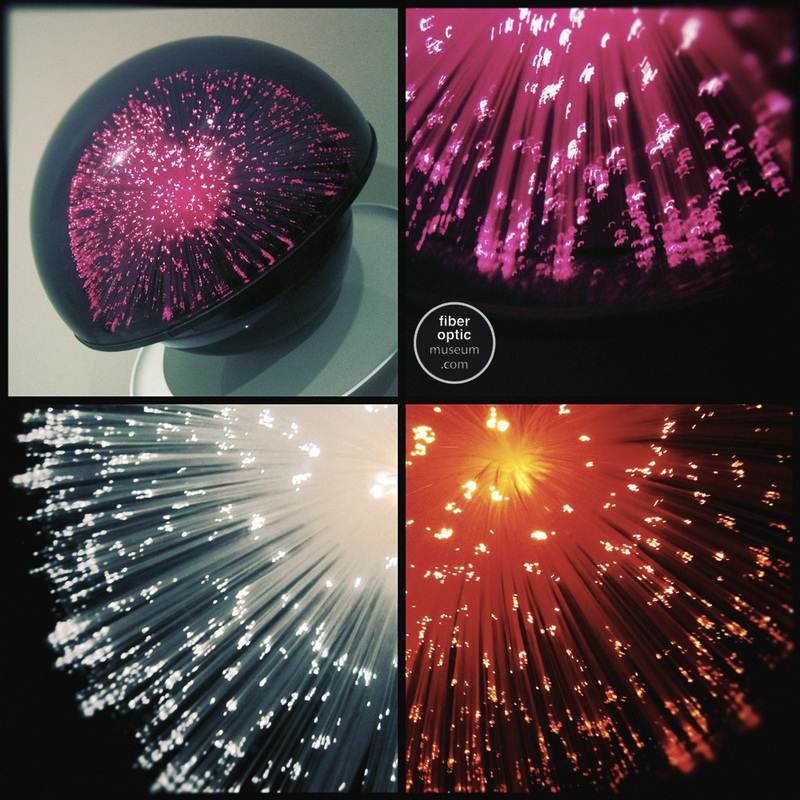 www.fiberopticmuseum.com | The Galaxy - The very latest thing in decorative lighting. 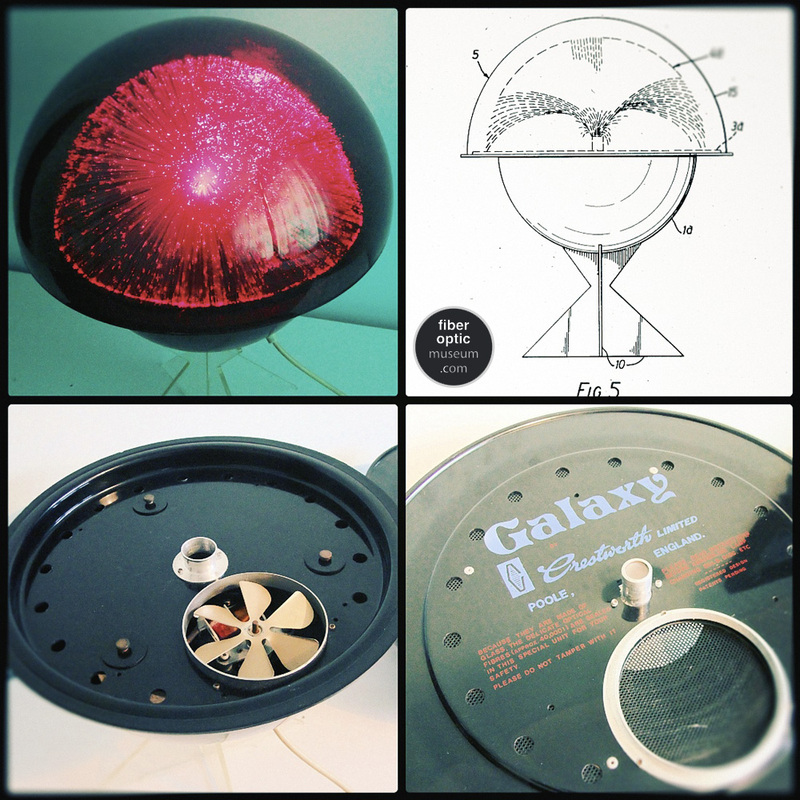 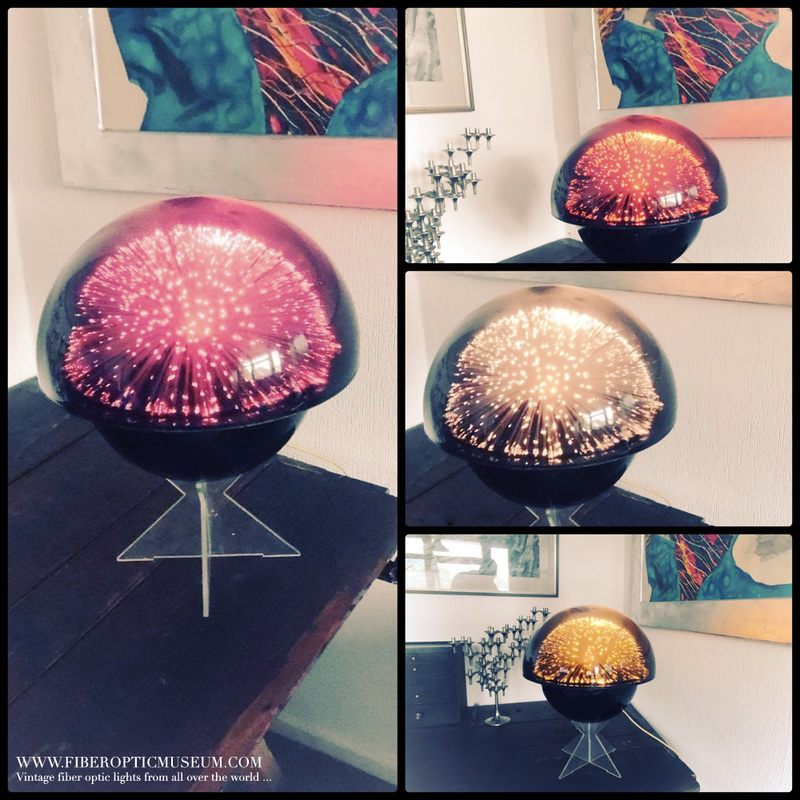 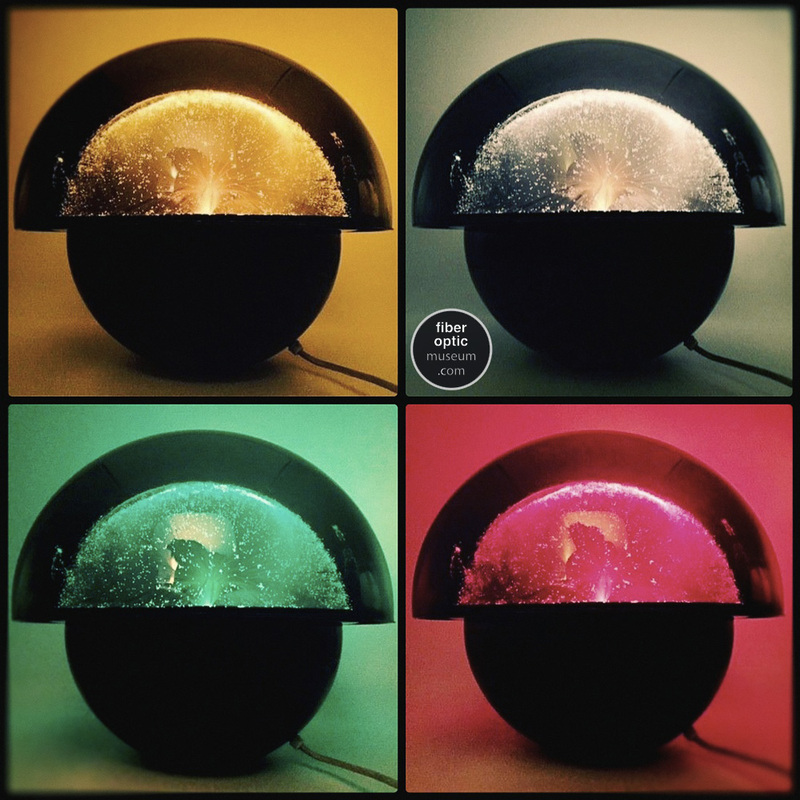 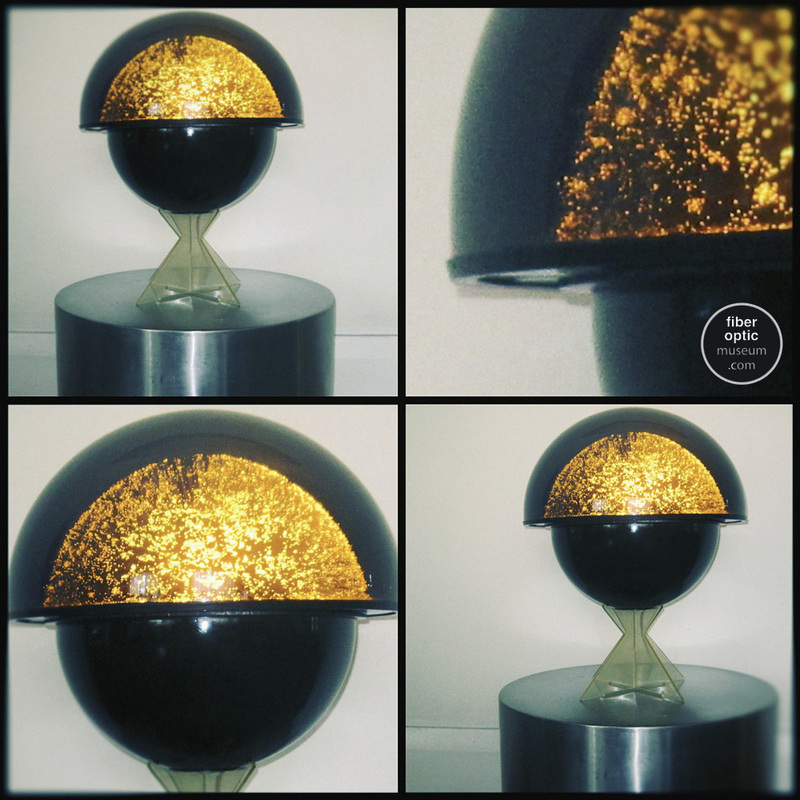 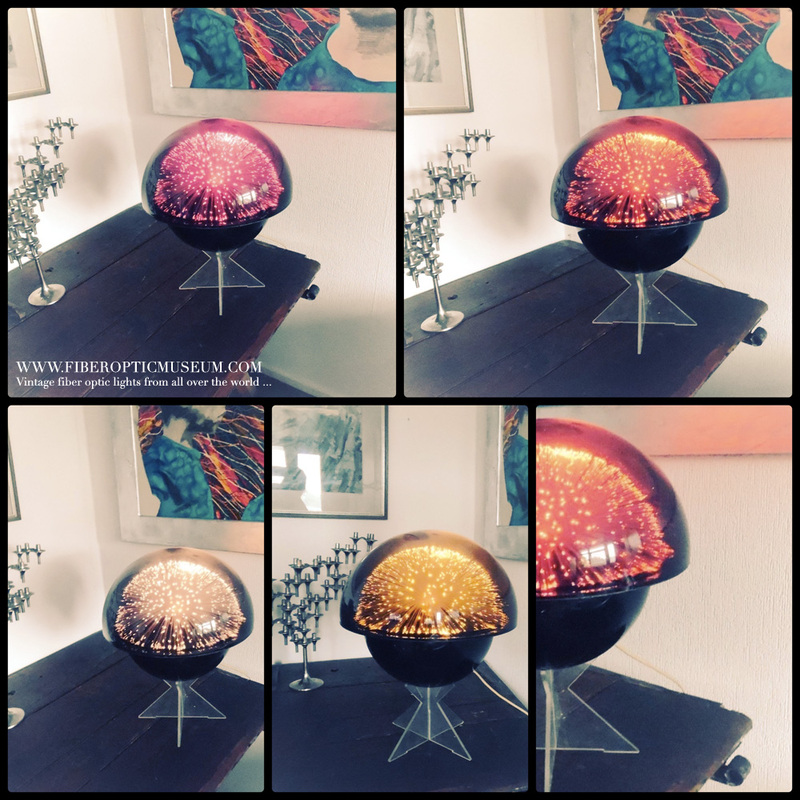 The Galaxy - The very latest thing in decorative lighting. 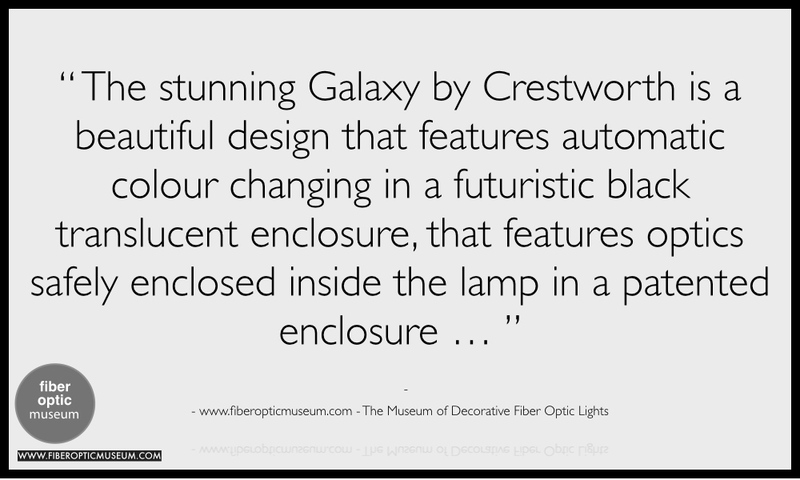 Crestworth's Sensational New Galaxy. 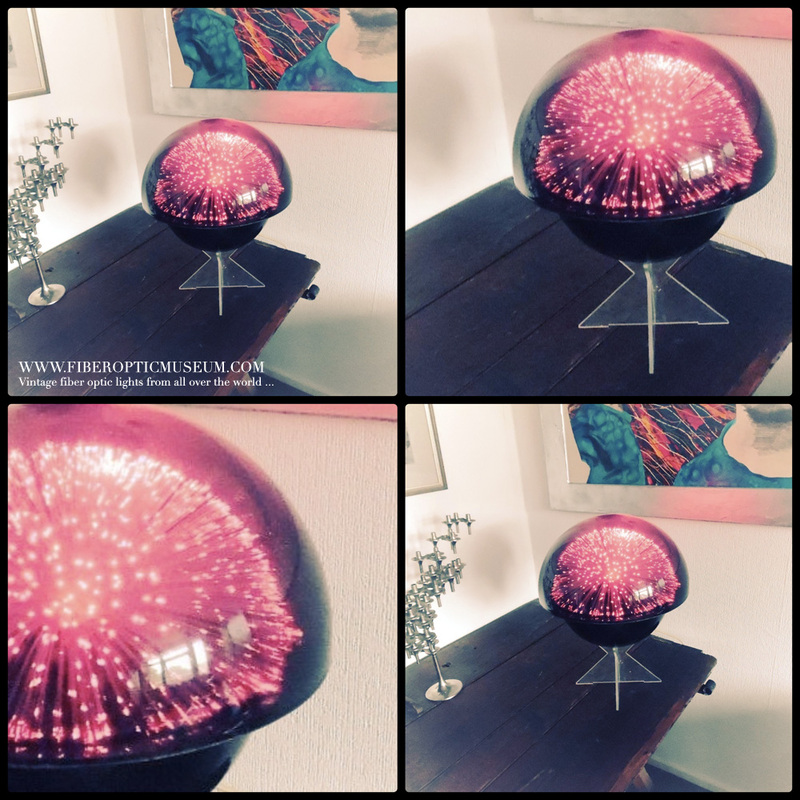 The safe glass fibre optic lamp. 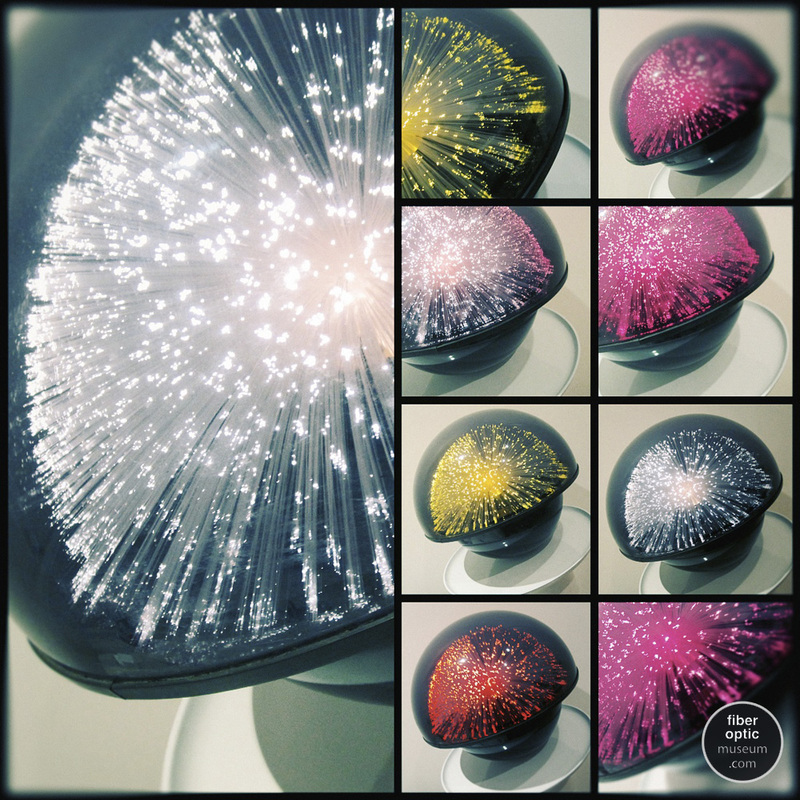 Tens of thousands of minutely fine glass fibre optics artistically arranged to create an ever-moving, swaying sea of light, gently changing from one vivid colour to another. 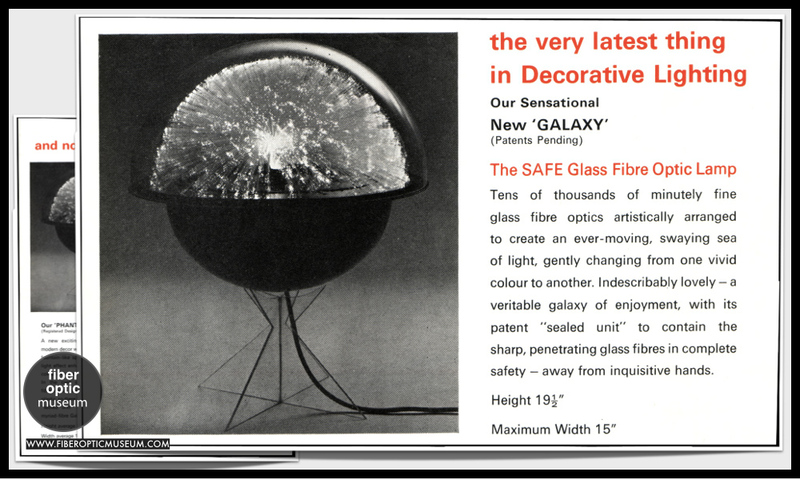 Indescribably lovely - a veritable galaxy of enjoyment, with its patent "sealed unit" to contain the sharp, penetrating glass fibres in complete safety - away from inquisitive hands. 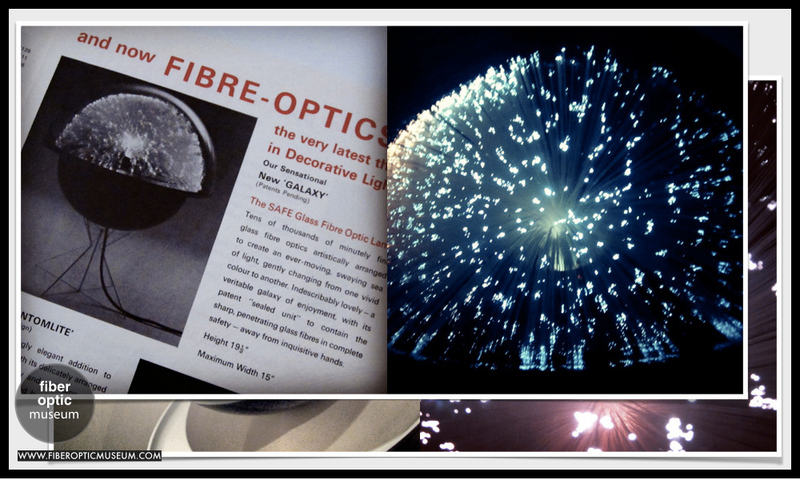 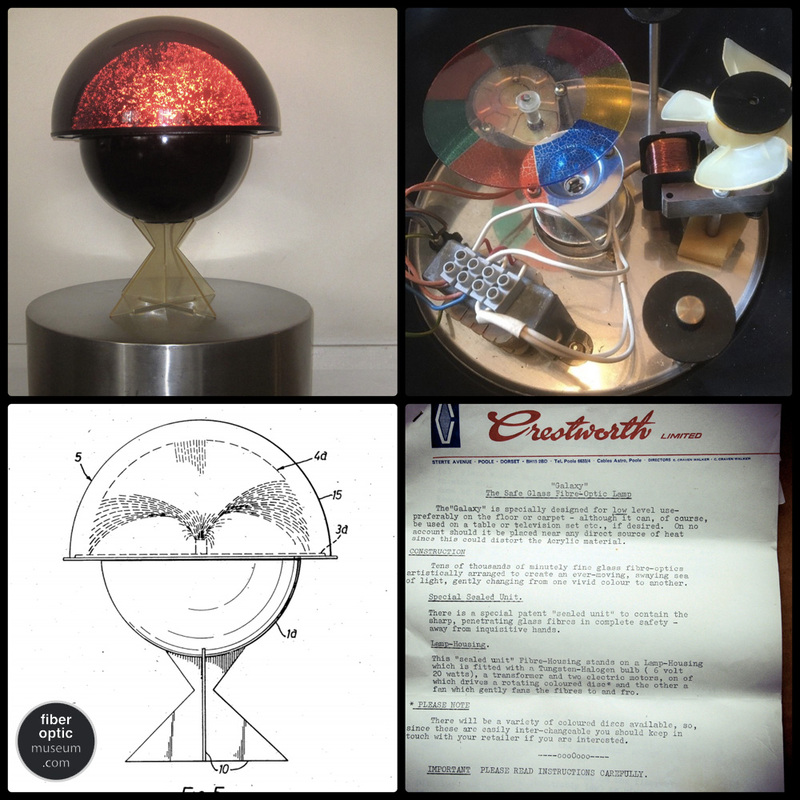 Two versions of the Crestworth Galaxy have been seen, one with optics which virtually touch the edge of the patented darkened dome and the other with features shorter optics within. 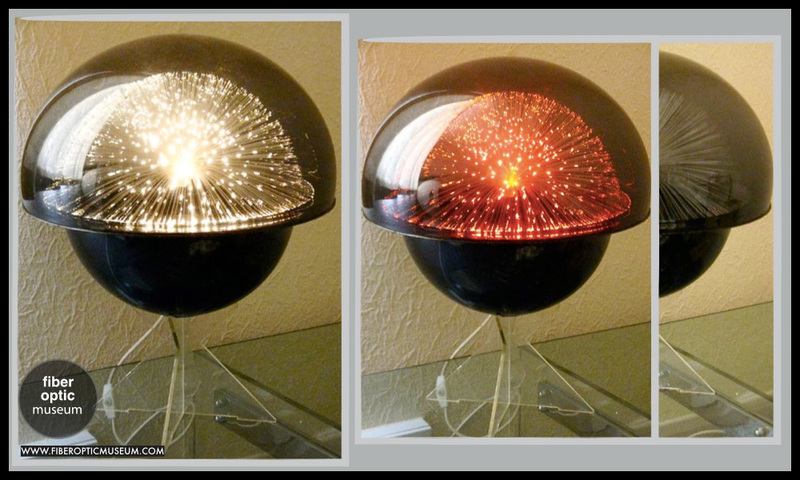 The later is the more popular design of the two. 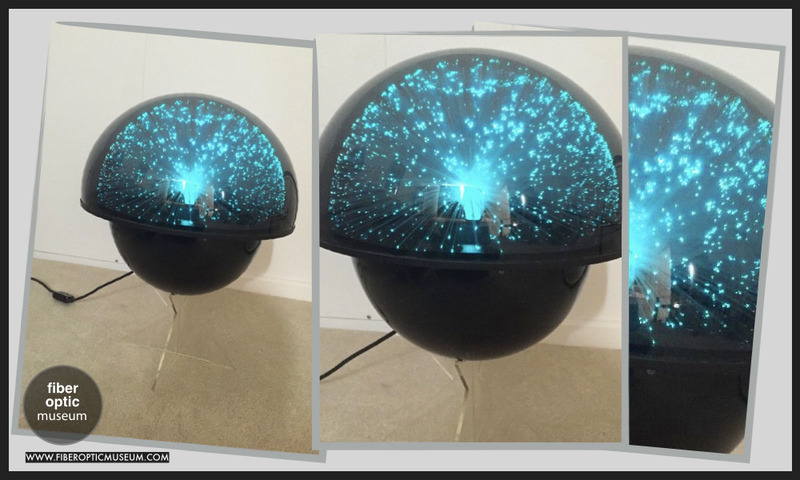 Thank you to Robert for his images of the Crestworth Galaxy.